I haven't linked up in a while for the #nailfiles but when I saw Tara's tweet about sharing your Christmas nails, I that I needed to link up. I love glitter and the holidays, but I'm not much of a red girl. I picked up these two beauts last night at Sally's Beauty Supply. Chine Glaze in Liquid Leather and Finger Paints Glitter top coat. I love it, except I painted these this morning and didn't allow any dry time. Whoops. that looks good. man I wish i was half as good as doing my nails like that! Ooooo--I like this! And I'm with you; I'm not a fan of reds either. i am basically obsessed with this mani! I love that glitter! Such a great holiday mani! 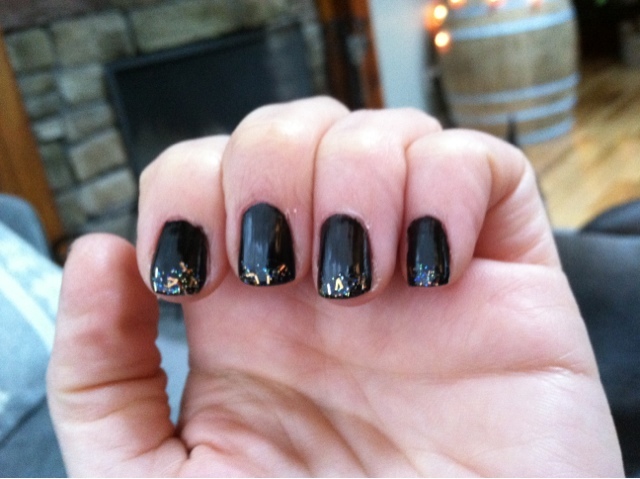 Omg, I love this mani!! Have you heard of the PAM trick? Just spray PAM on your nails after you paint them. Leave it on for like 30 seconds and then rinse off. They will be dry to the touch. It will still be wet underneath the top coat but won't smudge as easy. I have also heard of dipping your fingers in ice water. I'm not a red lover either. 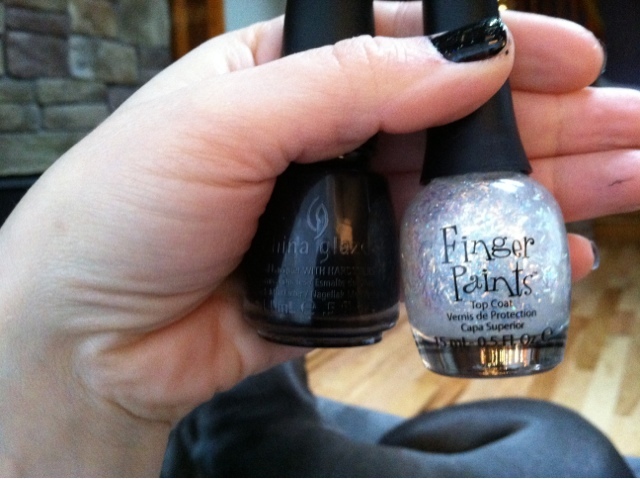 Definitely like these better ;) They will be perfect for New Year's too!